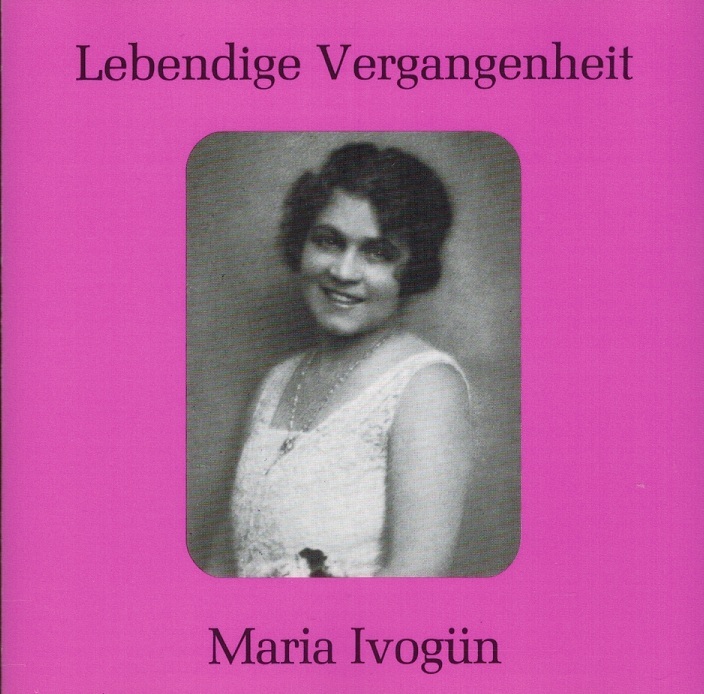 “Maria Ivogün, the leading coloratura soprano of German opera in the period between the World Wars made her début as Mimi in LA BOHEME in 1913 under the direction of Bruno Walter in Munich. 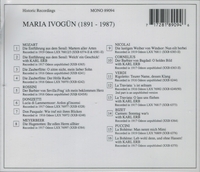 She quickly became one of the most popular singers on the German scene, a position she maintained for two decades. Guest appearances took her to the leading opera houses of New York, Chicago, London and Milan. Her artistic home base remained Munich until 1925, when she followed Walter to Berlin. She was the first to sing Zerbinetta in the revised version of Richard Strauss' ARIADNE AUF NAXOS. In 1921 she married the noted tenor Karl Erb. They were divorced in 1932, and in the next year she married the pianist Michael Raucheisen. At the time of her second marriage she retired from singing - still, as her recordings of 1932 demonstrate, at the height of her powers - and began a long and notable career as a teacher. Among her many successful pupils were the sopranos Rita Streich and Elisabeth Schwarzkopf. The latter maintained close contact with Ivogün and continued to consult her on pedagogical issues to the end of her life.